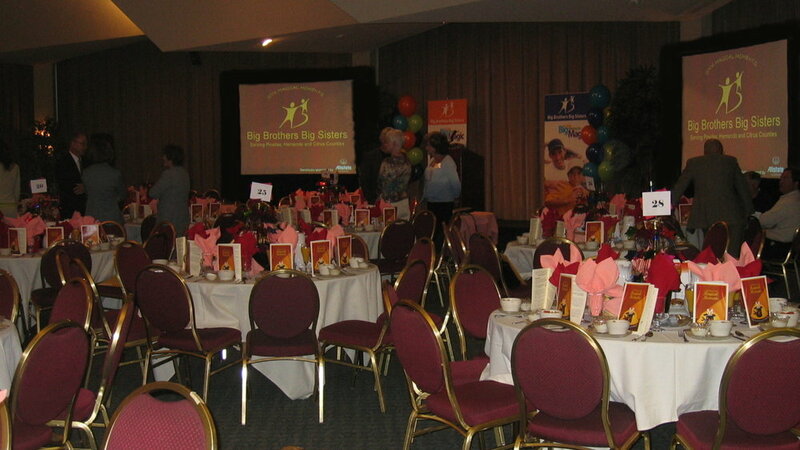 We service all hotels, banquet halls or event venues. And we will save you money. 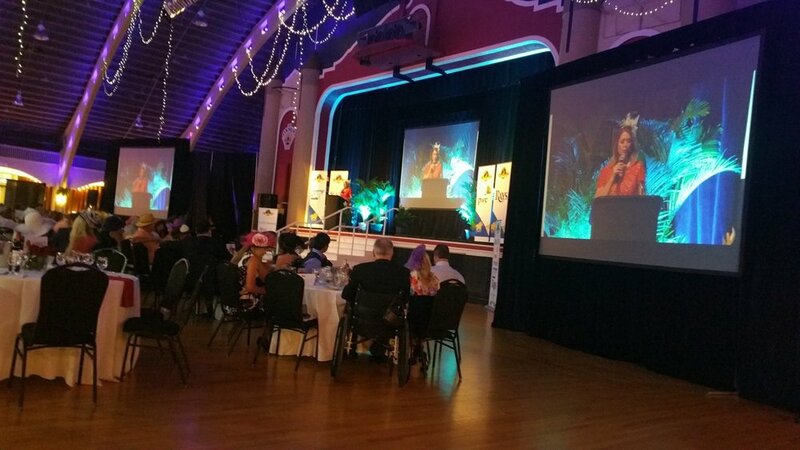 Employee recognition, service awards, outstanding achievement or corporate awards just to name a few - big or small - we have AV equipment rentals you need for your event to be a success. We also provide, at no charge, event consultations and site visits. To remove any worries or stress you might be having about your event, we will stay onsite to operate the equipment. — Travis Tyler ~ PowerChord, Inc. 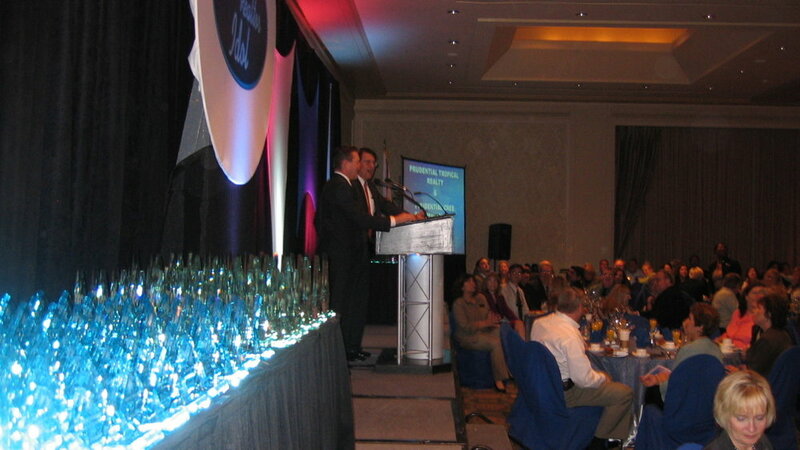 Visual Advantage provides the audio visual equipment rentals you need to make an ultimate impact with your awards! 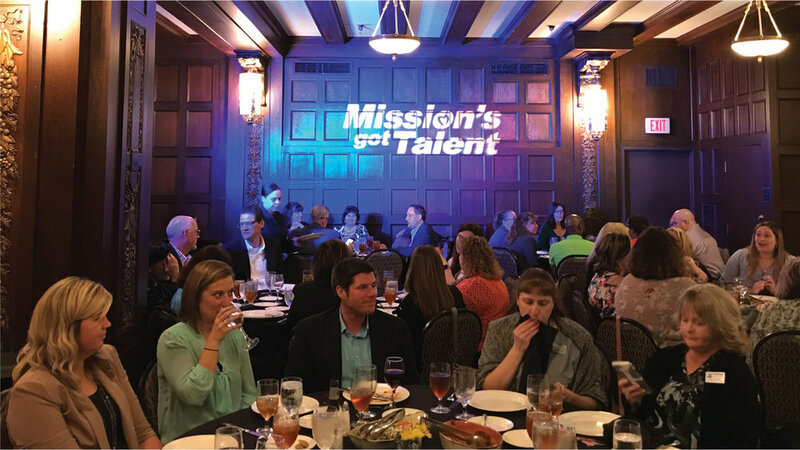 Screens, projectors, speakers, mics, pipe & drape, laptops, podium & uplighting will help you show your employees how valuable they are & in a special way to make their recognition a night to remember! Recognizing an employee that has proven leadership & outstanding achievements during their career is one you want to do in a big & bold way. 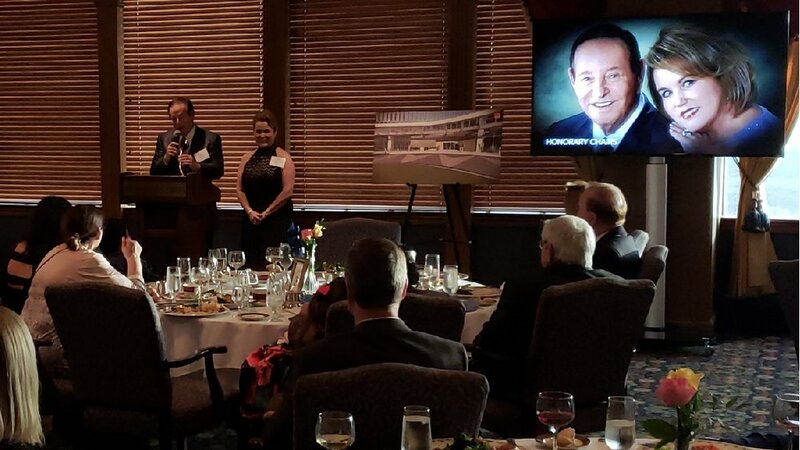 Visual Advantage offers big screens, projectors, microphones, uplighting, podiums & more to help make it happen! Big or small, we can help make it one of the most memorable evenings of their lives! 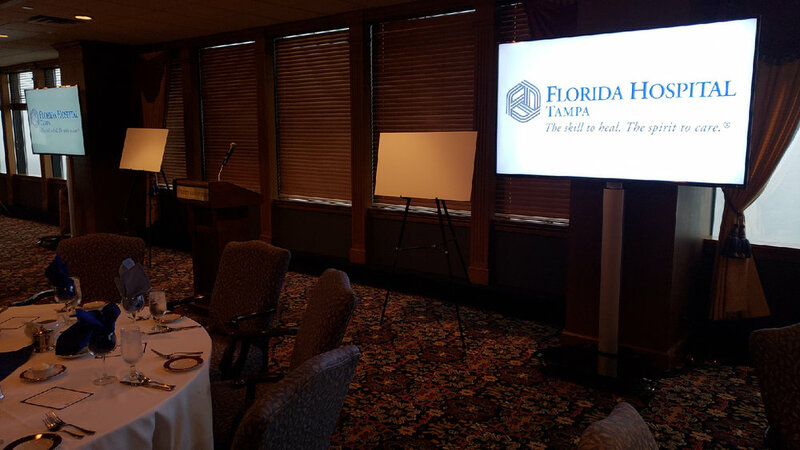 Guide attendees upon arrival with scrolling information on a HD flat screen TV displaying table assignments or photo montage of employees, as well as, any important company information, meetings or upcoming activities. We can provide any type of music you request for your event. Songs to match your theme, light dinner jazz, cocktail music and more. We always discuss with you beforehand to get an idea of the direction you want to go. 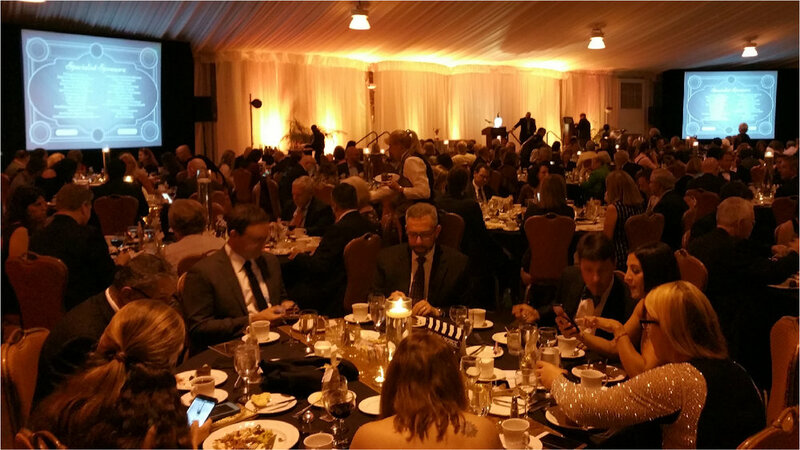 Enhance any room, at any venue with beautiful, eye-catching uplighting, staging, pipe & drape, plants, spotlight or stage lighting! Add a theme or your company colors bringing your entire event together visually! 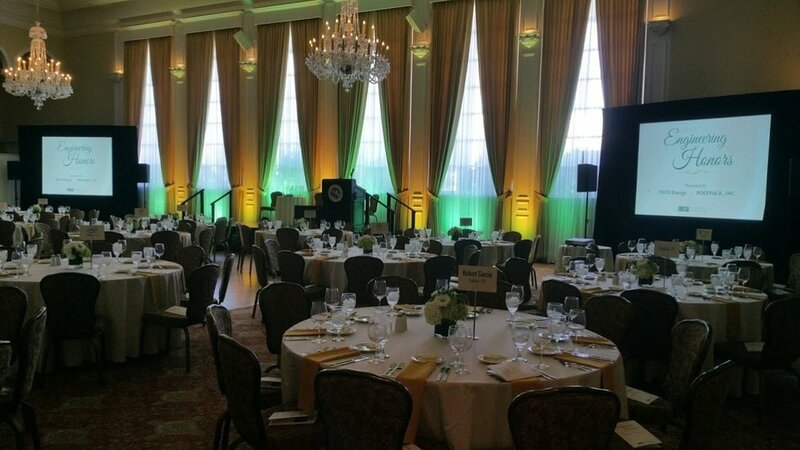 We deliver and setup to any hotel, meeting space, ballroom or conference center. Don't pay outrageous hotel av prices. 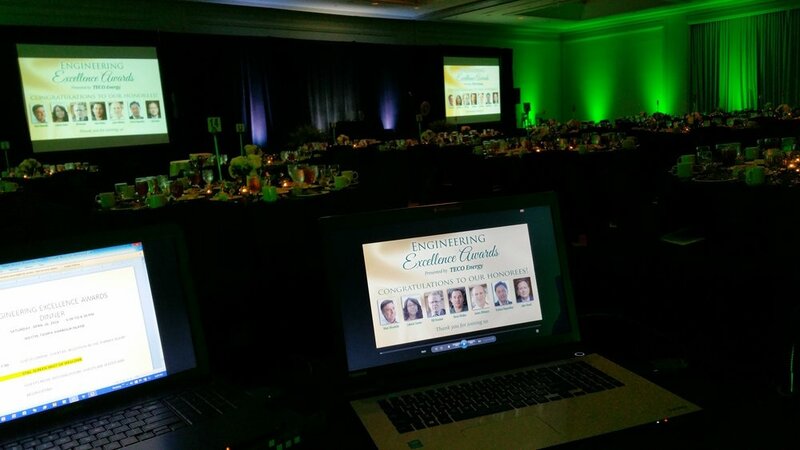 We continually save our customers 40-60% per event compared to hotel & event venue in-house av.